The new 12 month parking pass can be used by visitors to enjoy unlimited parking at selected lots throughout Niagara Parks, for a one time fee of $50.00 tax inclusive. This pass is valid for 12 months from the date of purchase and can be obtained online at niagaraparks.com/parking, directly at either NPC Rapidsview Licensing Office, the Niagara Parks Parking Office at 1-905-356-0943. A hike into the Niagara Glen is like a trip back in time as you wander past boulders left behind as the falls eroded through this area thousands of years ago. 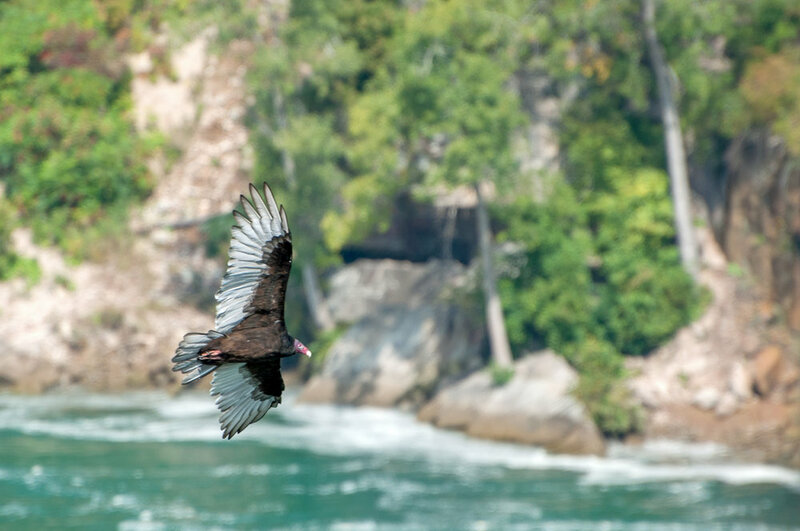 The Niagara Glen is home to an amazing variety of plants and animals, including rare and endangered species. Stairs lead to four kilometers of trails that wind their way through the Carolinian forest. 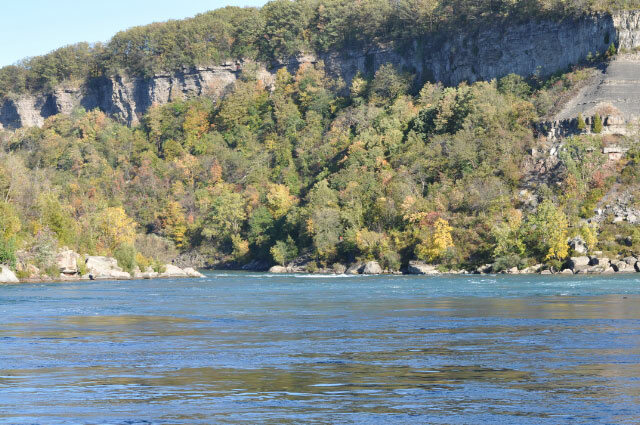 The seven separate marked trails throughout the Niagara Glen offer spectacular views of the Niagara River, and the American side of the gorge. Within the Glen you can explore Wintergreen Flats, Wilson Terrace, and Foster's Flats - theNiagara Glen Terraces, flat areas created when the Niagara River flowed through this area six to seven thousand years ago. 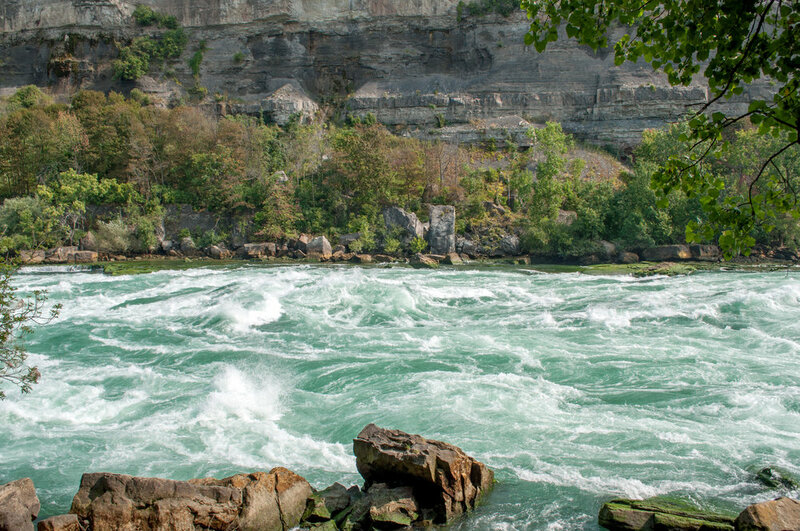 The Niagara Glen overlooks the Niagara River Whirlpool. 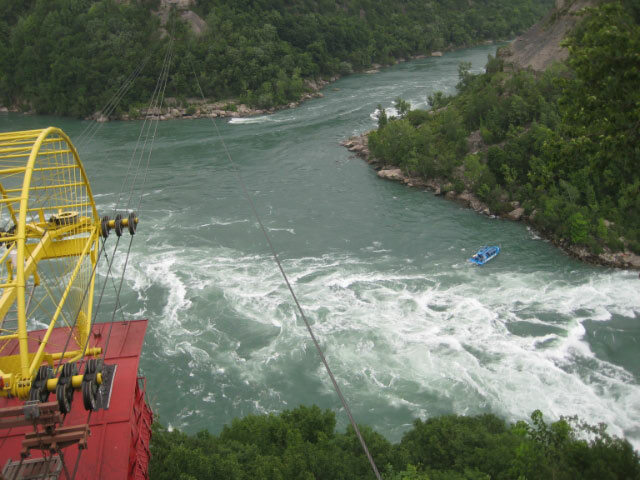 The gorge and whirlpool were also created about six to seven thousand years ago as the Niagara River slowly eroded its way through the Niagara Escarpment. 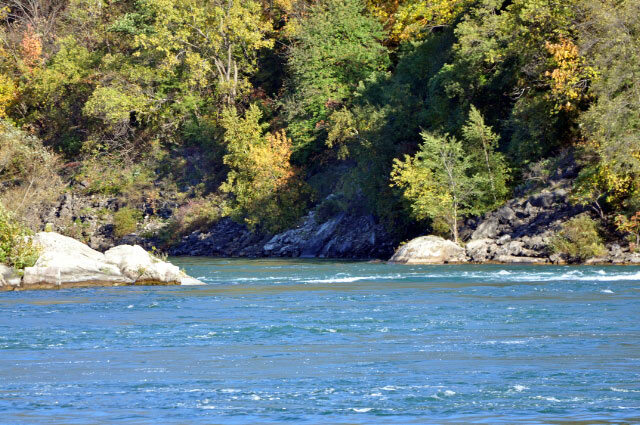 Harder, more resistant bedrock forced a right-angle turn in the river's path at the site of the Whirlpool, where the rushing waters are forced into a deep counter-clockwise spin. The Niagara Glen is definitely worth a visit for hiking enthusiasts, but it should be noted that the terrain is steep and rugged, and proper footwear is required. 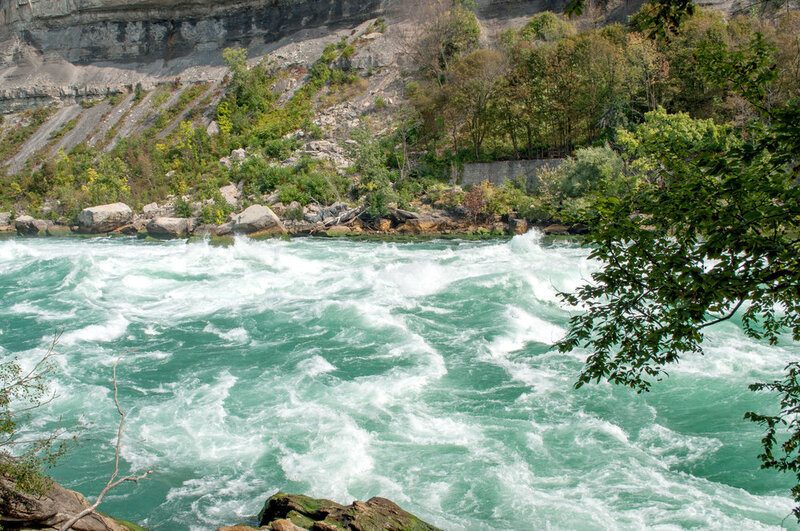 Visit the Niagara Parks Commission 'Niagara Glen and Whirlpool' web page for a detailed description and trail map of the Niagara Glen.